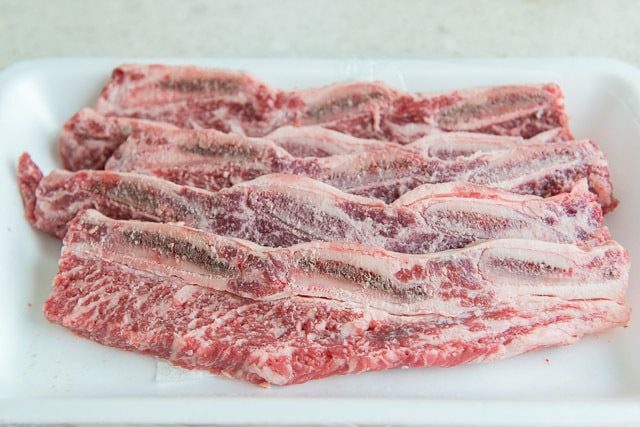 Kalbi is a classic Korean Barbeque Short Ribs dish, perfect for summer grilling, but perfectly suitable to make any time of year. 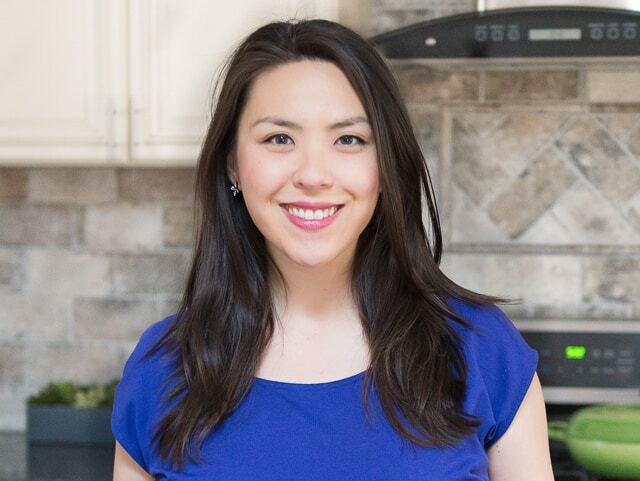 This recipe has my Korean mama’s secret ingredient for extra tender short ribs! As Korean food has become more and more popular in the US, this dish has played a huge part in paving the way to that popularity. It’s one of the main staples of Korean BBQ, and people rightfully go bonkers over how good it is. 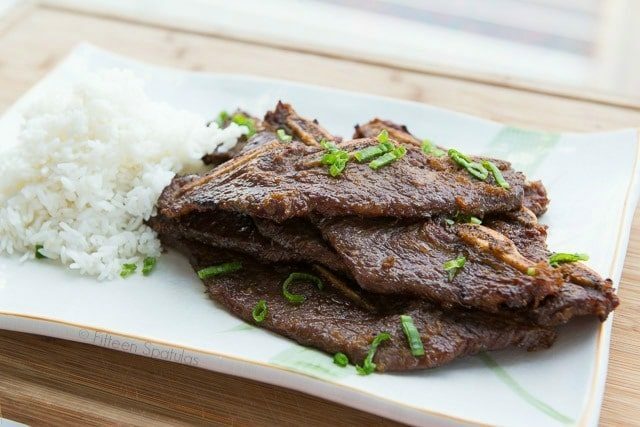 Korean kalbi is a special-cut beef short rib (often labeled Korean style short ribs) that’s marinated in a sweet and salty marinade, and grilled until caramelized and deeply brown. It’s the food of my childhood and something my Korean mama has made for me for years and years. 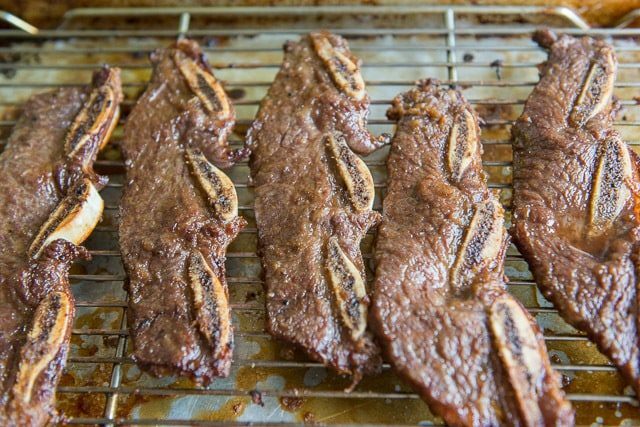 Every time my mom threw a party, there would always be kalbi. Always. 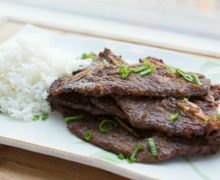 This recipe uses most of the standard ingredients for Kalbi, but also includes my mom’s secret ingredient, which helps tenderize the meat. But, she has also used pineapple. The secret to the kiwi and pineapple is the enzymes in them that tenderize the meat naturally. Just make sure not to leave the beef in the marinade too long, or the beef will be too tender. 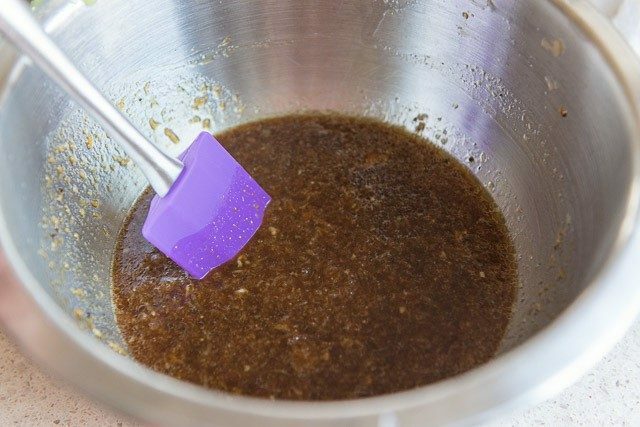 Marinate this for 4 hours, and as long as overnight. Now it’s time to cook the beef! The preferred method is to grill them, but when that’s not an option, I’ve found that the second best method is to broil them. If that’s not an option either, you can pan-fry them, but they don’t caramelize as evenly. They’re still good though. 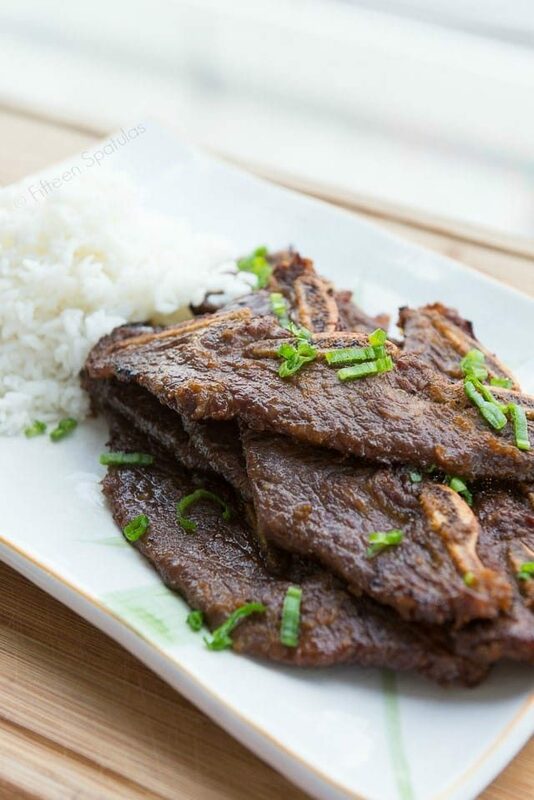 Serve the kalbi with rice, or any desired Korean side dishes. For more Korean dishes, I recommend my mom’s Kim Bap (Korean Rice Rolls) and Korean Beef Bites. 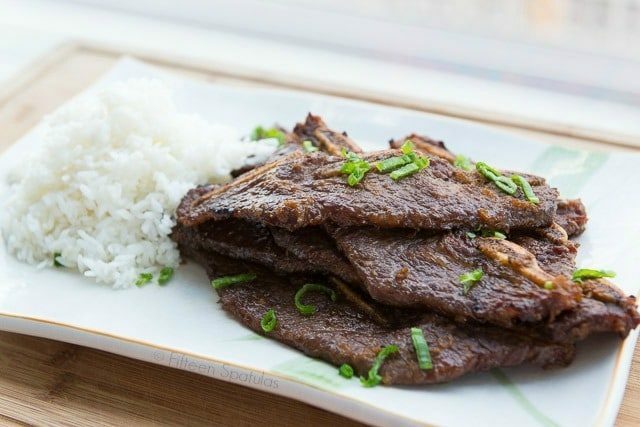 Kalbi is a classic Korean Barbeque Short Ribs dish, perfect for summer grilling, but perfectly suitable to make any time of year. 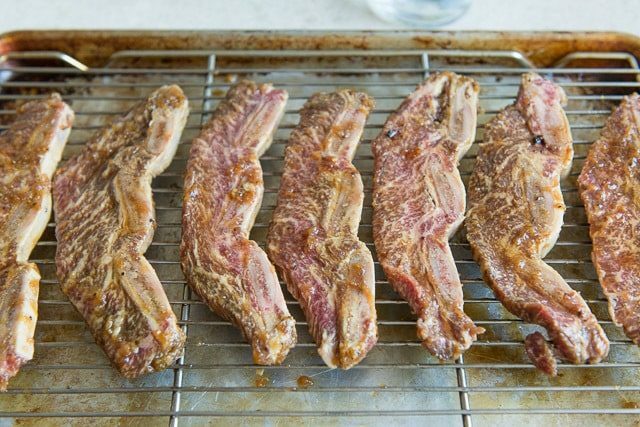 It’s marinated in a sweet and salty soy sauce-based marinade that caramelizes beautifully as the short ribs cook. In a large bowl, whisk to combine the grated Asian pear, grated kiwi, soy sauce, brown sugar, garlic, sesame oil, and a few cracks of black pepper. 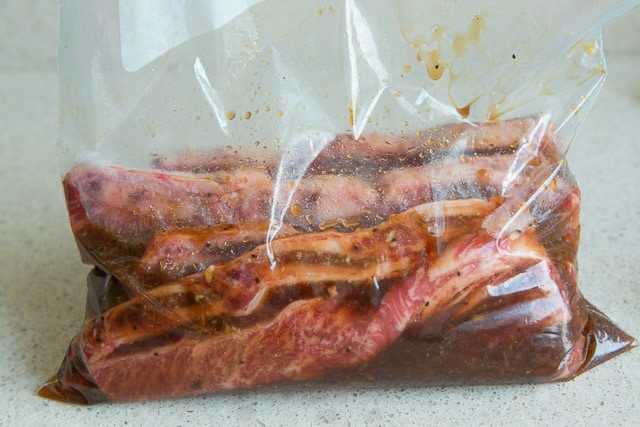 Combine in a marinade bag with the beef, and let marinate for at least 4 hours, and as long as overnight. 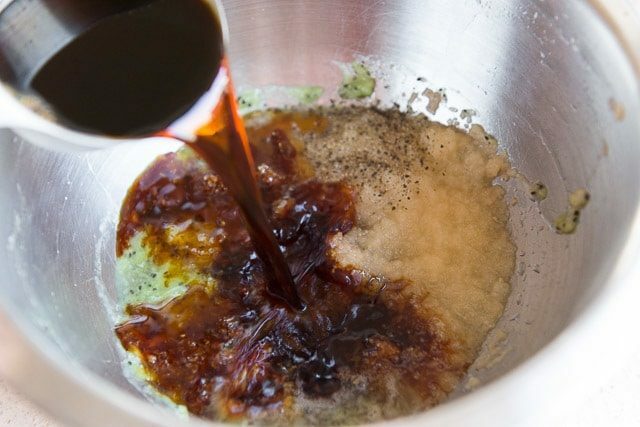 Remove the beef from the marinade, and discard the marinade. Either grill the beef for 3-4 minutes on each side, or broil them on top of a wire rack set over a sheet pan, also for 3-4 minutes on each side. If those two cooking options aren't available, you can also pan fry them in a skillet. Cook them until they are caramelized and deeply brown on the edges. Enjoy! I want to keep the grill out all year long to make these short ribs. So good! We make this recipe time and time again and it is wonderful-easy to prepare and grill and so delicious! Hi Lori, I’m so happy to hear this. Thanks for letting me know, and hope you enjoy grilling this summer! I see short-ribs in my future. Hope you like this one, Craig! I haven’t tried it, but that may work. Enjoy!